Internship – Protect Water for Future Generations. DO YOU LOVE THE BLACK HILLS? DO YOU WANT TO LEARN HOW TO PROTECT THEM? 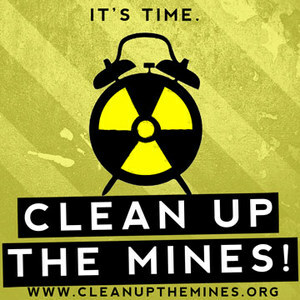 Clean Water Alliance is a nine-year-old organization that works to protect the Black Hills from radioactive uranium mining, gold mining exploration, disposal of mining wastes into our underground water, and abandoned old uranium mines. We oppose all uranium-related activities and gold activities in the central Black Hills, and we educate the public, participate in legal cases, and take direct action to stop destructive mining. The Intern will be an independent contractor and must have a phone, a computer, internet service, and reliable transportation to be able to complete Internship activities. The Intern will work with Clean Water Alliance to schedule work hours that meet the needs of both the Intern and the organization. The Intern is expected to work 15 hours per week for 12 weeks, beginning on about May 28, 2019, and to provide monthly written reports on their activities. Clean Water Alliance will pay a stipend of $1800 ($600 per month) and provide gas money from Rapid City to other work sites. Basic knowledge about some of the issues surrounding uranium and gold mining in the Black Hills region. To apply, submit a letter expressing your interest in the Internship, a resume, and three references to nobhuranium@gmail.com no later than April 30. For more information, contact nobhuranium@gmail.com Put “Internship” in the Subject line.